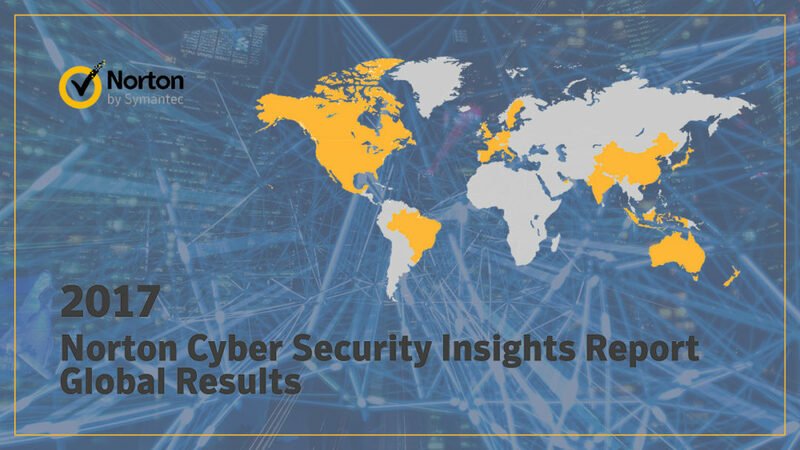 Norton has just released their annual Cyber Security Insights Report, which analyses the effects of cyber crime around the world. One of the key findings of this report is that when it comes to cyber security, “consumers are overconfident in their security prowess, leaving them vulnerable and enabling cyber criminals to up the ante this year, which has resulted in record attacks”. Over the course of 2017, the report estimates that over 978 million adults in 20 countries around the world experienced cyber crime. These attacks cost consumers an estimated €150 billion. While most people stated that cyber security was important to them, one third of people stored their passwords insecurely and one fifth admitted to using the same password across all sites they use. Over half of the respondents reported either they or someone they knew had been a victim of cyber crime, with the average cyber crime victim spending almost three full working days recovering from the attack. Norton also used this report to gather data and create a profile of the typical cyber crime victim. They noted that typical victims were common adopters of new security techniques, such as Fingerprint ID. They are more than twice as likely to own an internet connected smart device than non-victims. They likely own multiple devices and use the same online password across multiple or all accounts. Finally they are likely to share their device or account passwords with others. When Norton looked at the ways in which criminals carried out cyber crimes, they were often low-tech, such as tricking users into revealing their personal information through phishing email. Other common forms of cyber crime included infecting users’ PCs with viruses and malware, gaining unauthorised access to their email and social media accounts, fraudulently purchasing items online using users’ credit or debit cards, and stealing payment information from mobile devices. The report also looked at how much people trust the companies who hold their data, showing that consumers are now more skeptical than in previous years. In particular, trust was lost in social media platforms, governments and companies who gather data without proper consent. Notable exceptions were banks and financial institutions, whom consumers trust more than they did previously. Overall, this report shows that cyber crime is becoming increasingly prevalent and is affecting more and more people around the world. Some new security features may have lulled users into a false sense of security, causing people to believe they are safer than they actually are from a cyber attack. – Educate yourself on how to identify phishing/scam emails and stay vigilant online. Think before you click!